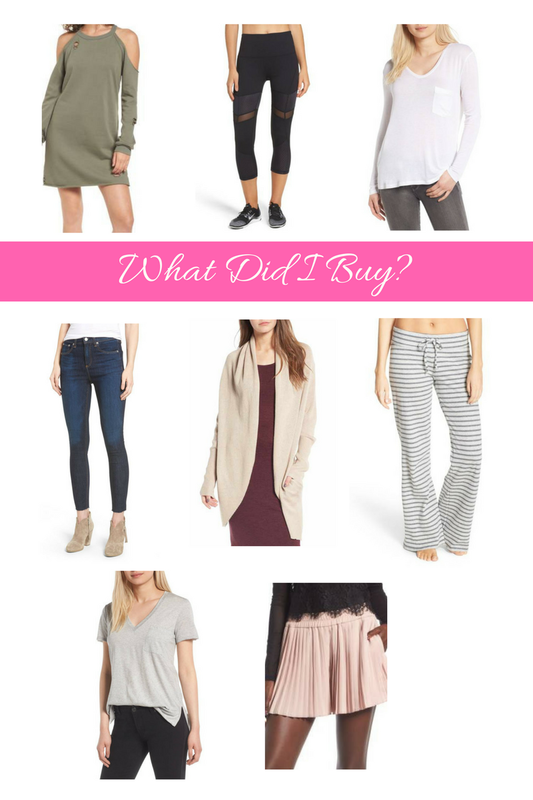 KEEP CALM AND CARRY ON: #NSale: What I Purchased! Happy Monday!! I hope everyone had a good weekend. We spent all weekend celebrating Grayson's birthday (which isn't until Thursday but we had the party early), and it was so much fun! He absolutely loved his cake + all his new toys! I will have a post up tomorrow with pictures from it! Now that the Nordstrom Sale is open to the public 🙌🙌🙌🙌 , I wanted to quickly share what I actually bought for myself. The biggest thing for me is to stick with classic pieces that I KNOW I will wear over and over again like denim, cardigans, simple tees, and shoes. If you're buying random things that you're not sure if you will wear just because they're on sale, then I don't think it's really worth it, is it? No! **If you love any of these items and they are NOT currently in stock in your size right now, just keep checking back because they restock them all the time! +these were the first thing I added to my cart! Super flattering! +they better restock this soon, it's the best. +obsessed with these cute shorts that you can wear now! +lots of colors, can't beat the price! +these are a must have for me, will wear them ALL the time just like I do with my normal Zella leggings. +a staple in my closet, want all the colors! Shop all of the great handbags they have on sale (AND IN STOCK) HERE! Shop all the booties, sneakers, over the knee boots, etc. HERE! Great picks! I got a similar pair of high waisted jeans and some high waisted crop zella leggings! I love that sweatshirt dress!